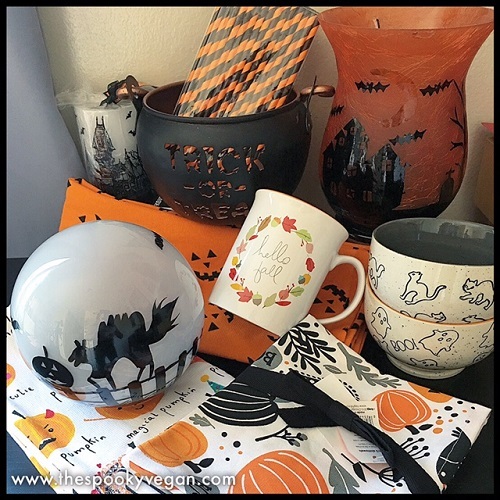 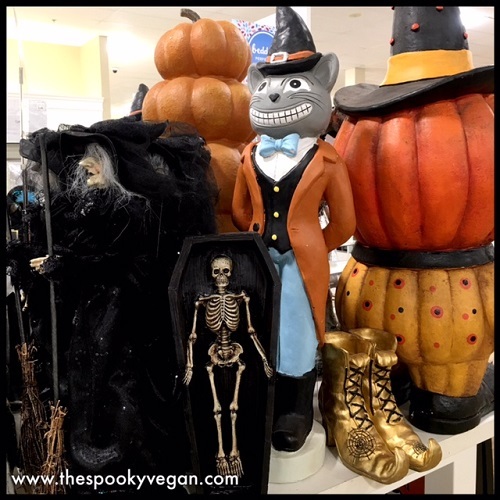 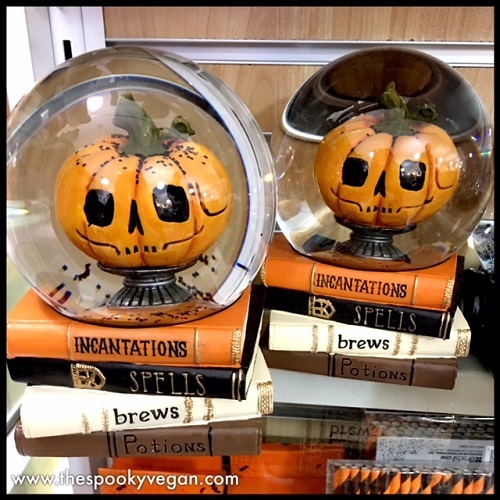 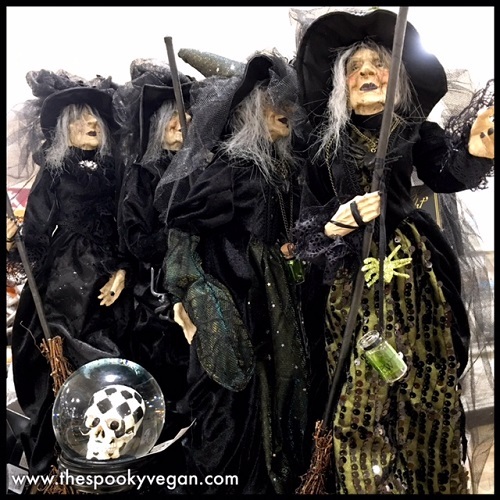 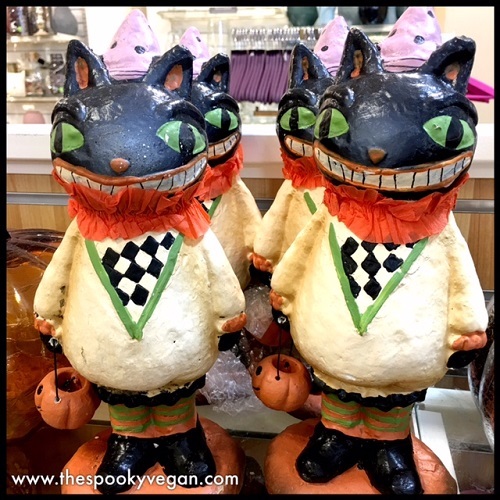 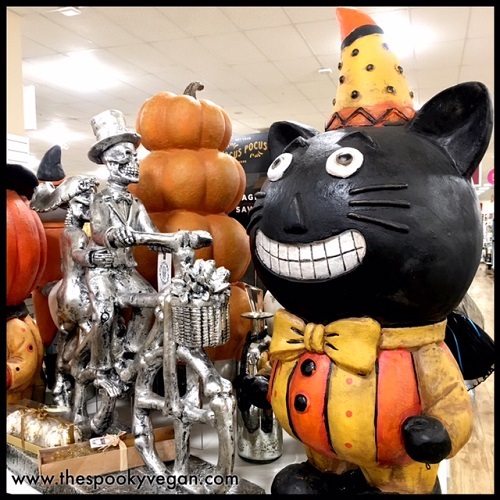 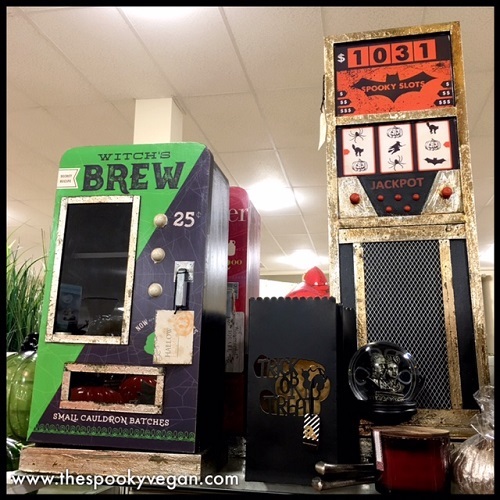 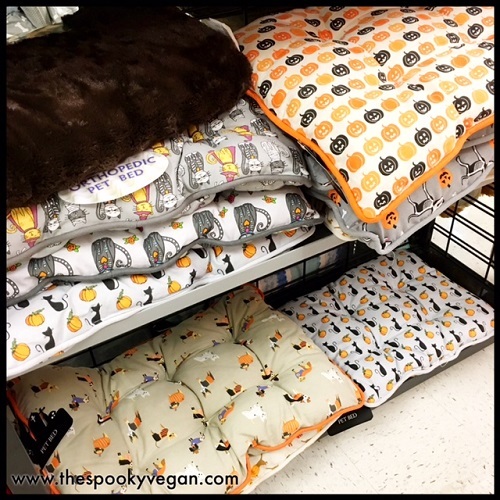 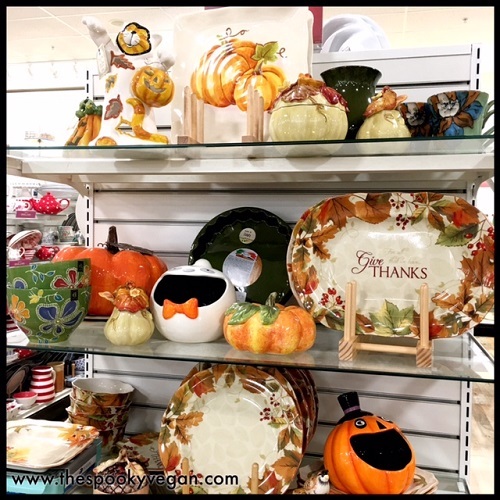 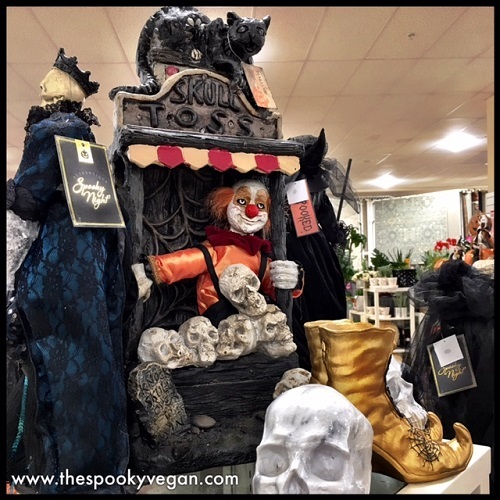 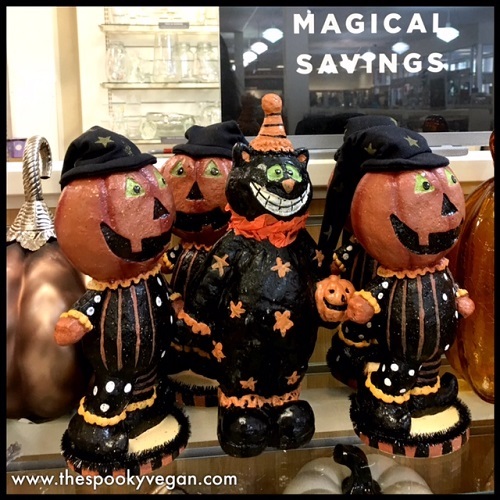 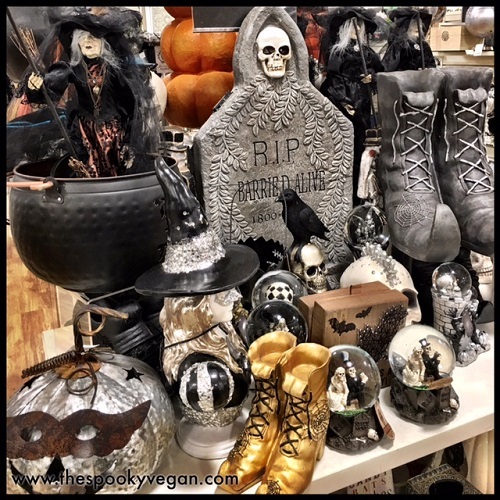 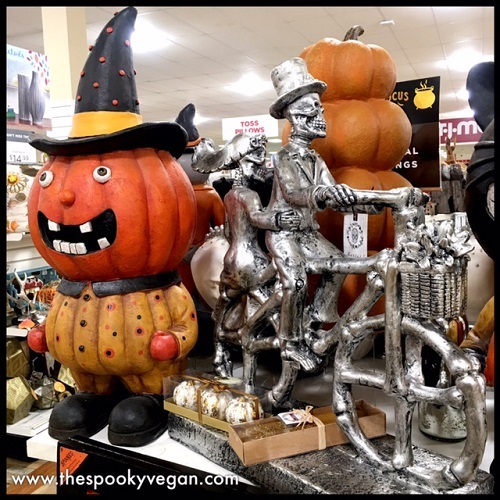 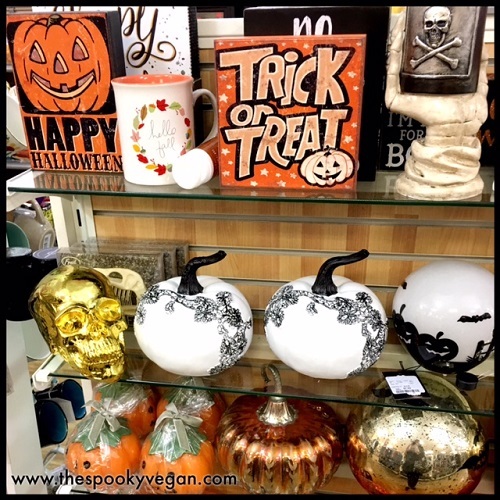 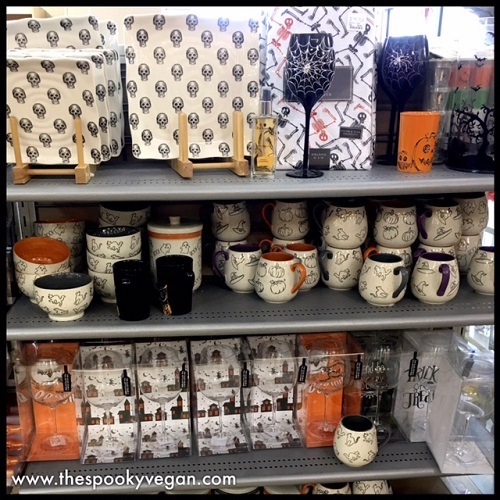 I've been looking forward to the Halloween roll out at T.J. Maxx/HomeGoods so much, as it is one of my favorite stores to snag Halloween goodies! 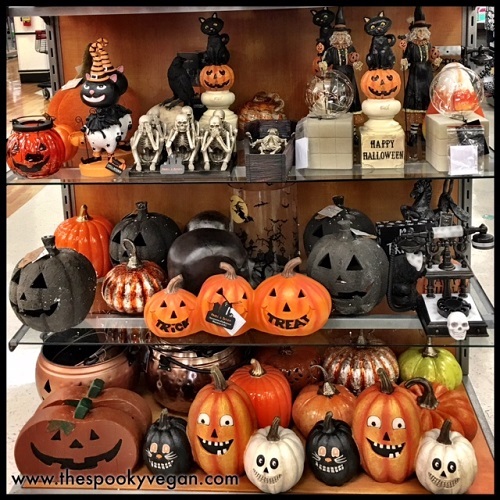 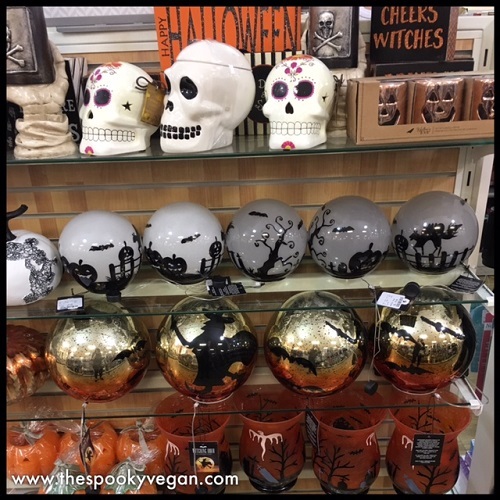 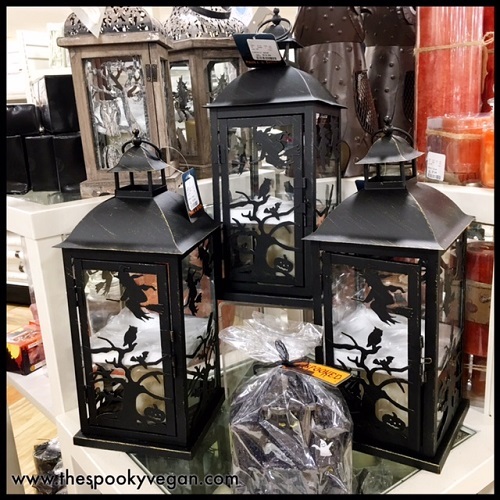 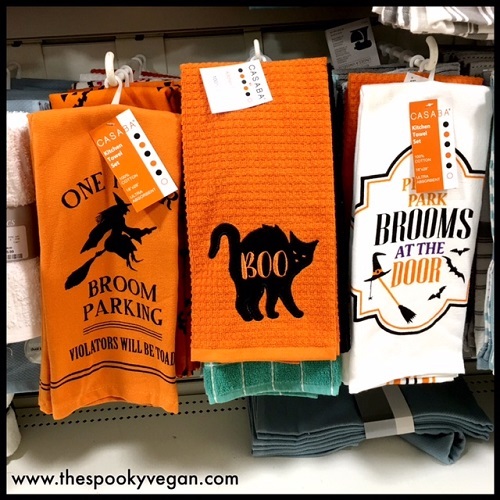 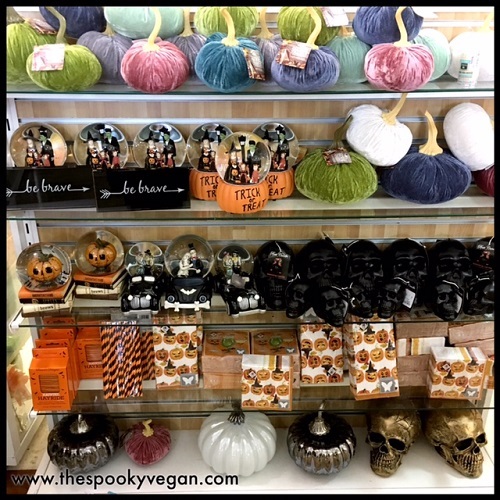 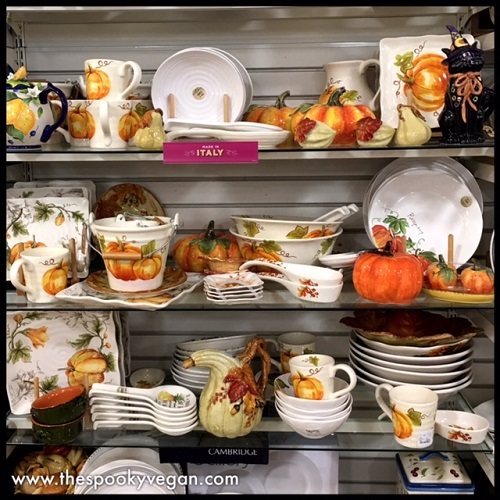 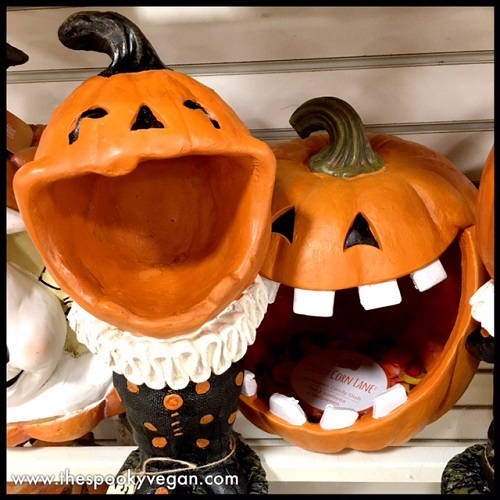 I am elated to report that I checked out my local T.J. Maxx/HomeGoods store this past weekend and found their autumn and Halloween items starting to be stocked! 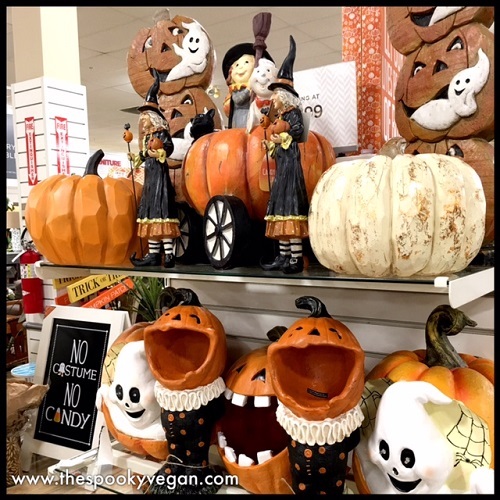 Pumpkins and jack-o-lanterns make my heart happy! 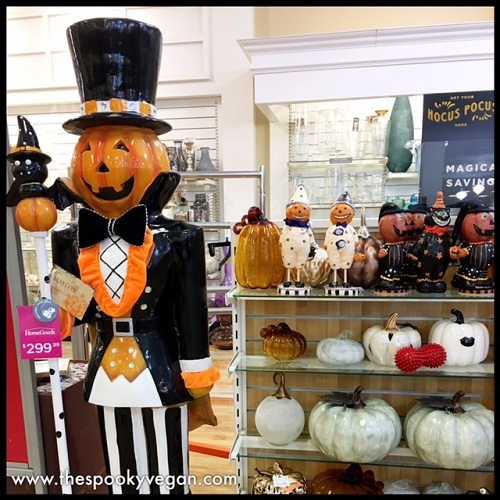 I really want this jack-o-lantern gentleman to grace our entryway! 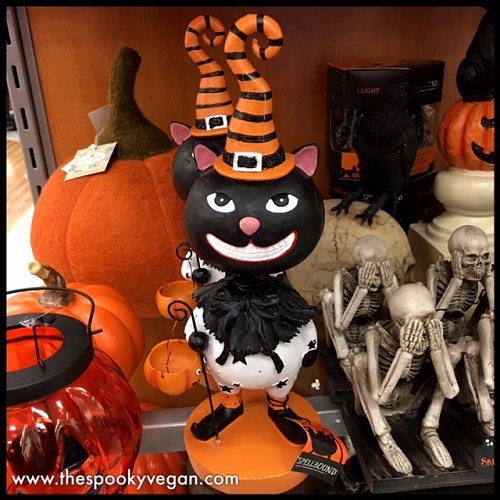 Loved this sassy black cat! 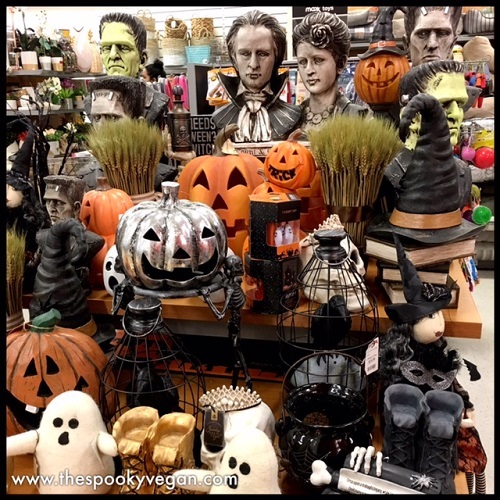 Has your T.J. Maxx or HomeGoods' store put out any Halloweenie items? 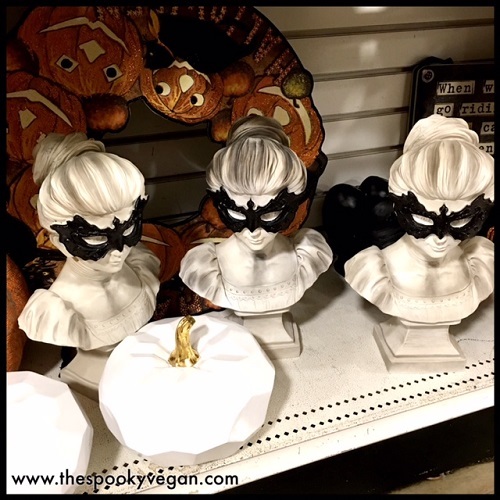 If so, have you made any Halloween purchases yet? 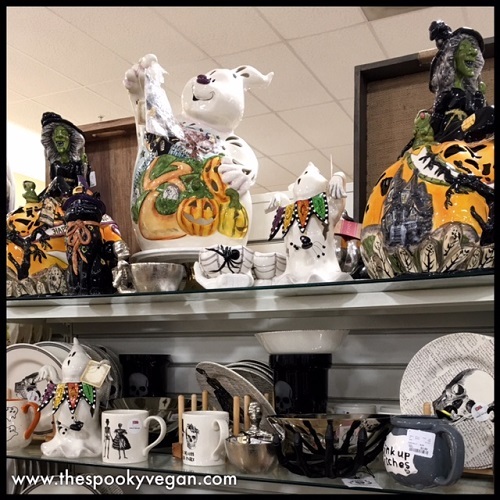 I can't wait to go back in the next few weeks and see what else they have! 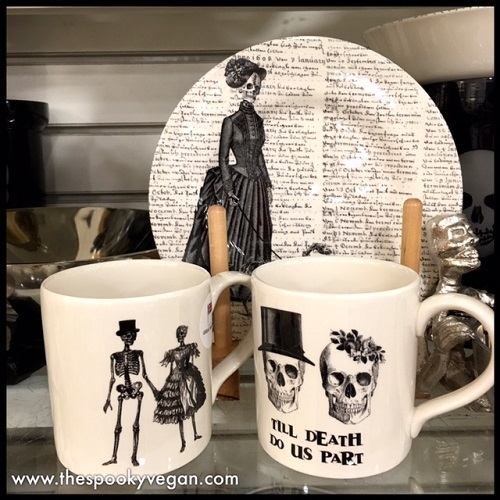 Love the sneak peak, have to go with the Victorian Skeleton plates and the skeleton couple on the bicycle. 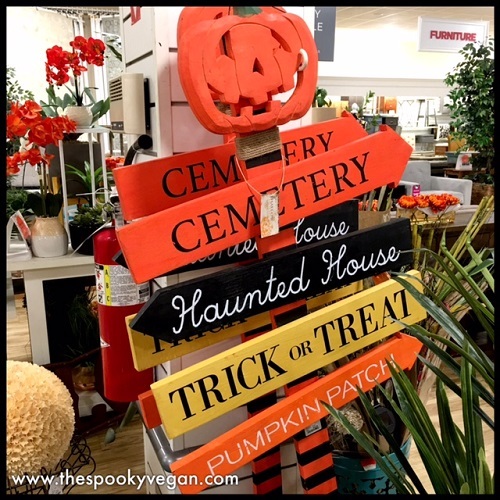 Fits into this years Halloween theme at our house!